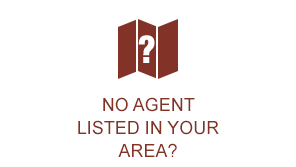 I am an independent agent serving my clients for 36 years. I specialize in assisting consumers over 65 navigate through the complex Medicare system. Why meet with an agent from 1 company? Save time-USE A BROKER! Independent brokers for 15 yrs-showing ALL of your options! Annual review using informed comparisons-every year! I'll find your best Medicare solution. Experienced Specialist since 1999. United Healthcare Medicare Top Performer 2016-2017. I host Medicare seminars all year. I'm happy to help! Let us help you compare your Medicare insurance options. No-cost and never an obligation. Email or call me today. Thank you. For the past 9-years, we've been helping folks in the Tampa Bay Area navigate the baffling world of Medicare Supplement, Medicare Advantage and Prescription Drug plan options. Please email me for no-cost, no-obligation information about your Medicare insurance options. Let me provide info and help you compare the best options available. Medicare coverage is confusing. That’s why I offer a free Medicare 101 class. Call or Email to attend an upcoming class. No-cost consult to determine the right Supplement or Medicare Advantage plan for your needs. Agent lives local to serve East Hillsborough from Sun City Center to Plant City. Over 20 years helping consumers. We can discuss Medicare Supplement, Medicare Advantage, Prescription Drugs Plans and much more. Contact: L.I.F.E. for all your insurance needs. LICENSED FINANCIAL SERVICES PROFESSIONAL for almost 40 years in business serving CONSUMERS in the TAMPA BAY AREA! HONEST, HELPFUL, and RELIABLE! Specializing in Medicare Supplements offering a wide range of options from many carriers to help you find the best fit. It is important to understand the choices you have in plans. Unlike most agents, I will present ALL of your Medicare coverage options: Lowest cost Medicare Supplement Plans, Medicare Advantage and Part D drug plans. Please contact me with your Medicare insurance questions and for plan comparisons and costs. I have been helping clients for 25+ years in the Medicare field. I make it easy! Whether you have Questions on Medicare or Social Security, with 20+ years on experience in Healthcare, Medicare and Insurance, I am able to help navigate your retirement needs. Medicare is confusing, I'm here to help. My goal is to help you find a Medicare plan that meets your healthcare and budget needs. Call or email me to set up a free consultation. I am an Independent Agent with 30+ years insurance experience helping you find the Medicare Supplement, Medicare Advantage or Medicare Prescription Plan that is best for you. Independent Agent and insurance licensed since 1989. We can discuss Medicare Supplements, Medicare Advantage, and Prescription Drug Plans that will help you with Medicare options. Medicare Advisor/Insurance Broker. 30+ yrs experience. Representing 9 companies. Which one's right for you? No Cost/No Obligation information. Call me to discuss ALL your options. Over 40 years of quality service while providing medicare supplements, advantage plans and prescription drug plans in Charlotte, Sarasota, Lee and Desoto counties. Let me help you find the right Medicare Supplement/ Advantage plan/ Drug plan! Fitting your budget and your health is important! No obligation! I will come to your home. As an independent agent, I help people with their Medicare choices by offer multiple companies and plans to clients. No sales pressure. My focus is on education. Independent Insurance Broker All types of Medicare Plans Available/Prescription Plans Final Expense, Life Ins, Annuities and Hybrid Long Term Care. I'm just a phone call away. Neil skipper & Associates, Inc.
We are very old fashion in the fact that we come to you especially when it comes to Medicare. However, we can also meet with you online if you prefer. As an independent advisor, I take the time to teach my clients what they need to know about Medicare, so they can make informed choices. I am a no-pressure wealth of knowledge. Independent agent in Central Florida helping clients for over 10 years. I work with EVERY company in FL that ensures you will receive an unbiased opinion for your Medicare needs. Independent Agent since 1997. Representing many competitive companies in Medicare Supplements, Medicare Advantage, and Rx Drug Plans. Serving Lee, Collier and Charlotte Counties. I have been representing United Healthcare since 2007 in Central Florida. I'm available for face to face appointments and phone consultations with no charge & no obligation.